It pains me to say it as much as it pains you to read it but it’s probably about time to wave the playoffs goodbye for this season. The Jets have now lost three in a row and four of their last five games, and now sit at 5-7 on the season. “But wait”, those few remaining loyalists will say, “there’s still a chance to go 8-8 or even 9-7.” Mathematically that is correct, but is it realistic? In this writer’s (and fan’s) opinion, no. I haven’t seen anything to make me believe that this team can beat even the lowliest teams in the NFL. The chunk of schedule after the bye was not considered to be the hardest of this season, yet the Bills, Ravens, and Dolphins have given the Jets fits. The same team that beat the Patriots and the Saints in three weeks now have lost to three straight teams who had come in to the game with losing records and lost embarrassingly. Geno Smith’s offense scored only three points against the Ravens, and the only points scored against Miami came on a drive led by Matt Simms. That offensive production is not going to get anyone into the postseason. I don’t think that the problem is only Geno Smith, as many people claim that it is, however it is true that the rookie’s performance has not been up-to-par of late. I believe that part of the issue lies in the wide receivers. To begin the season, the Jets had Santonio Holmes, Stephen Hill and Jeremy Kerley penciled in as starters and Kellen Winslow as the starting tight end with Jeff Cumberland as support. However, it’s never that easy. Holmes has been plagued by foot and hamstring injuries that have caused him to miss five games and rendered him ineffective in a few games as well. Hill has played quite the disappearing act. Despite being active in every game this season, Hill has been held without a catch four different times, most notably in three consecutive games against New Orleans, Buffalo and Baltimore. Since his 108-yard performance against Buffalo in week three, his stats have dropped drastically as he managed the same yardage in nine games combined. Jeremy Kerley is the Jets’ leading receiver this season, but he has missed time as well of late because of the injury he suffered against the Saints. Winslow missed games for both injuries and a suspension and even Cumberland was held out of a game due to a concussion. As a result the Jets have had to rotate other players in to fill the empty spots. And so for this season we have seen the likes of Clyde Gates, Greg Salas, Josh Cribbs, Zach Sudfeld, Konrad Reuland and David Nelson. Though David Nelson did provide a bit of a spark in a few games, this rotation of receivers could be reason for lack of chemistry between Geno and the wide receivers. This is not an excuse for the poor play of the offense, nor is it an excuse for the poor decisions and play of the rookie quarterback. 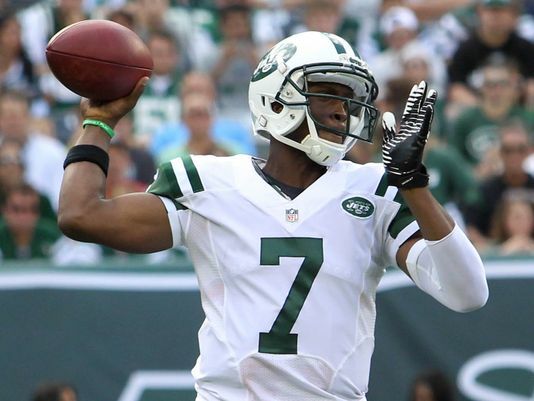 It is simply the idea that not all the blame belongs to Geno Smith. Another issue that is facing the Jets is that of their secondary. The departure of Darrelle Revis certainly has been felt. Antonio Cromartie has been playing hurt most of the season and as a result has not played his best, despite leading the team with three of their six interceptions. Rookie Dee Milliner has now been benched three times and has not quite lived up to the expectations of a top-10 overall pick and there isn’t really anyone else in the secondary able to effectively cover a number two receiver. This has been an Achilles heel all season for what has been a very good defense otherwise and Ed Reed has not been the solution. And while it is true that the Jets are only 2 games out of the final playoff spot, it is important to note the teams that are ahead or tied with them: Ravens, Dolphins, Chargers, Titans and the Steelers. Four out of those five teams own the head-to-head tiebreaker with the Jets. Basically, the Jets have to be alone in the 6th Wild Card spot to get to the playoffs. But I will state again, unless something changes drastically with the offense, this team will be lucky to come away with two wins in their last four games. So what comes next? It’s impossible to determine anything draft-related at this point in time. There are too many variables that would determine draft order or even who will be free agents at the end of the season. But we can consider the areas that most likely will be addressed in the offseason. In my personal opinion, I would expect to see a new coach first and foremost. John Idzik began his rebuilding of this team last season and surprised many by keeping Rex Ryan on as coach. However, Rex may not get a second chance again after this season. Look for Idzik to bring in a new face to lead the team to the future. With a new coach at the helm and a GM looking to be a contender look for the Jets to fill the holes right away this offseason. As for the quarterback situation…your guess is as good as mine.